When I retired, I sort of slipped out the door with little notice. No big worry, that is how I came into the Army too. 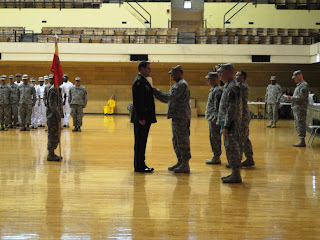 But the command had already put me in for an award, so when it came (a bit late) I was asked to come back and receive it. 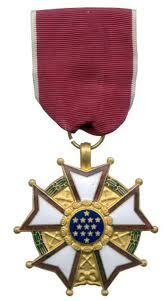 It was more than I had expected (and perhaps deserve) for it was the Legion of Merit. I suppose the 25 years as an officer (2+ enlisted) with several deployments abroad and domestically, with some prior awards of a respectable nature made their choice for them. But it is humbling nonetheless. Very well done. Congratulations and very best wishes.